Once in a while, we outgrow our ragged jeans and shirt and make efforts to flaunt our feminine side. For some, it’s already an acquired style, but for many, it’s just a spur-of-the-moment thing to doll up and dress like a fashionista. As we tend to dress only for the occasion, it’s better to pick up clothes that would highlight our personality and bring out the best in us. Well, there’s no need to wait because Studio Rama is the brand that we are all looking for. 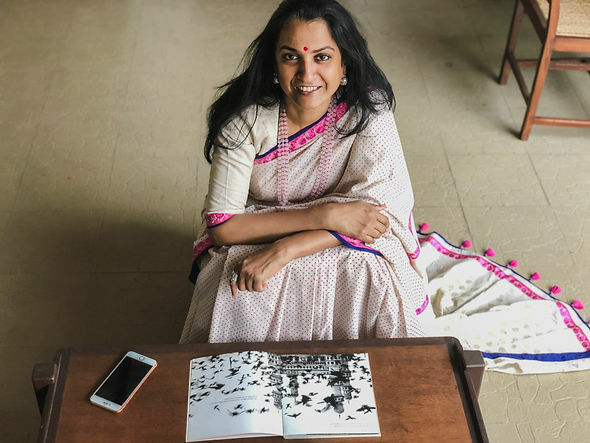 Studio Rama is the brainchild of the designer, Rama Rrebbapragada. It is a prestigious line of handmade, handloom and one of kind pieces. Each individual piece is simply feminine with a mix of soft design and high-quality fabric. The designer believes in being simple yet elegant. She strongly believes the fact that anyone can be uniquely stylish and standout in the crowd with attire that is graceful and audacious in appeal, teamed with the right attitude and style, irrespective of age and gender. 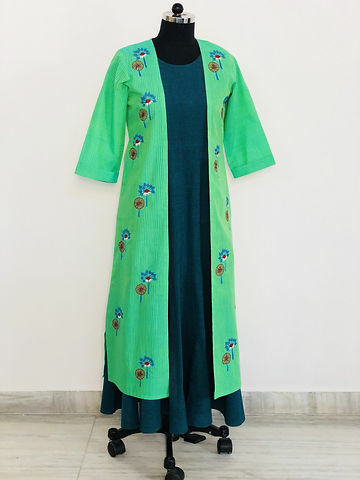 The brand mostly features - Kurtas, Anarkali, long dress, pencil trousers, palazzo, skirts, blouses, tunics, lehengas, sarees, dupattas, sharara sets, gharara sets with exclusive prints that you’ll find only at Studio Rama. Wearing a Long dress by Studio Rama is like giving your self a debut on all the ordinary things in life. A sure head turner is a perfect way to describe the fresh canary yellow with pink border dress made by Studio Rama. The dresses are made from pre-washed Mangalagiri in 100 counts so that the shrinkage is minimal. Mangalagiri fabric has a beautiful flow once hand washed. Long dresses are easy to wear and gives enough confidence as you stroll around on that extra long skirt. Wear it with flats, heels or whatever your mood suits you, and it’ll work out just fine. 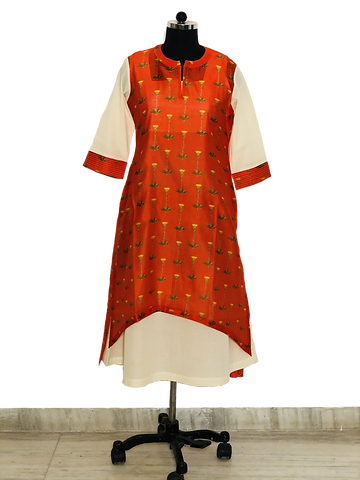 For a more casual, yet glamorous style, Studio Rama chanderi kurtas are the best thing there is. Be carefree and let the dress work for you all throughout the day. Perfect for the hot summer weather and there’s no way that you’ll leave without one of the chanderi printed kurtas from Studio Rama. Pair it with the right accessories and you can go from sleek and classy to trendy and chic. Who says that jackets are exclusively for the winter season? The fact is, jackets bring hype, color and a dash of power to women who wear them. There are three reasons why you should own a Studio Rama jacket. First, they use soft Mangalgiri fabric that is comfortable to wear and falls like a dream. Second, the colors are just fabulous and it’s easy to mix and match with your favorite pants and tops. Lastly, it’s a smart casual classic and you can bring it along in a formal meeting or a casual dinner. Studio Rama has new sets of collection every season and they are truly worth the price. Take a rest from ordinary geometrical prints and set your spirit free with these culture-rich collections. Studio Rama is more than just a clothing line. It is where authentic handloom and fashion collide to form an exceptional and refreshing piece of garments.